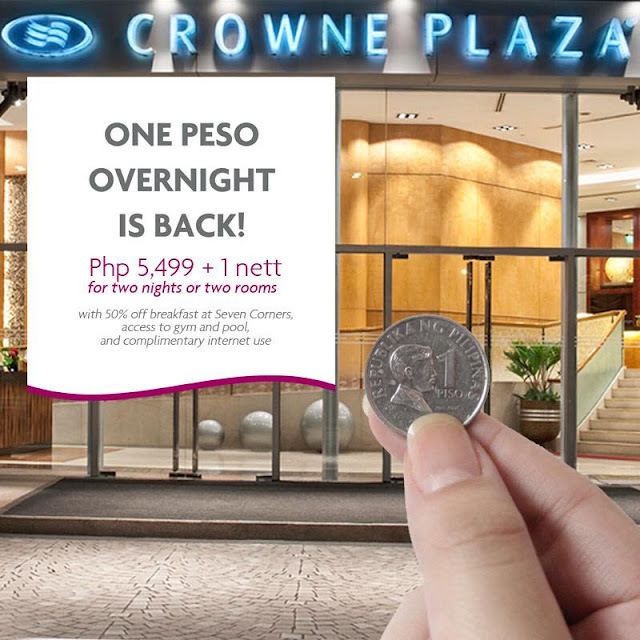 The Food Alphabet and More: One Peso Overnight stay at Crowne Plaza is back!!! Be prepared for this exciting deal because this offer is available from November 3 to 5, 2017 ONLY for stays from November 3, 2017 to March 31, 2018. If you already missed this offer on their previous running, be sure not to miss this one!!! Stay tuned this weekend for this awesome deal!